I always find it exciting to hear about the latest happenings in the green/natural beauty world. The whole market and interest in natural brands seems to be really taking off this year so it can be hard to keep up to date with everything! There's been so many new things on my radar recently I thought I'd share a few of the highlights I've spotted this week! Naturisimo is one of my favourite online stores and they've been curating some great discovery boxes lately. The newest box is all about travel essentials, packed with skin, hair and body minis perfect to take away on holiday. The box is only £9.95* and contains travel sizes from Barefoot Botanicals, Balance Me, Caudalie, Dr Bronner's and Giovanni. These discovery boxes always sell out so don't hang around if you fancy picking one up for yourself! I love seeing brands from other parts of the world becoming available here in the UK. This week, COOLA Suncare has launched at abeautifulworld - COOLA is an American brand making sun protection products with over 70% organic ingredients. Some of their products do contain chemical sunscreen as their active ingredients, but they also have a range of mineral based sunscreens too. 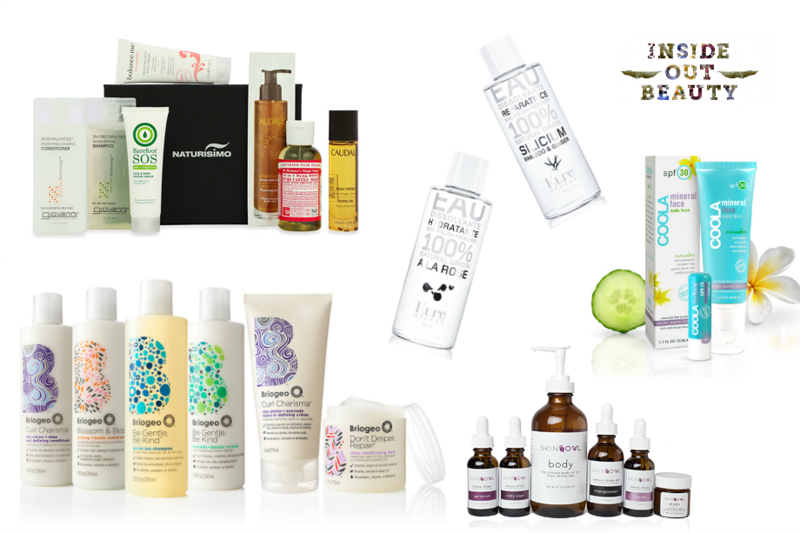 Some other recent brand launches I've spotted are SkinOwl at Cult Beauty, Briogeo at CosNatural and Kure Bazaar Nail Polish Removers at Content Beauty. I'm excited to explore these brands more and can't wait to see what other new launches might come to the UK later on in the year! Baldwins, who are one of the largest suppliers of medicinal herbs, essential oils and natural products in the UK, have just started their Inside Out Beauty campaign. Focusing on what we eat and drink is so important to promote healthy skin and hair alongside all the beauty products too! 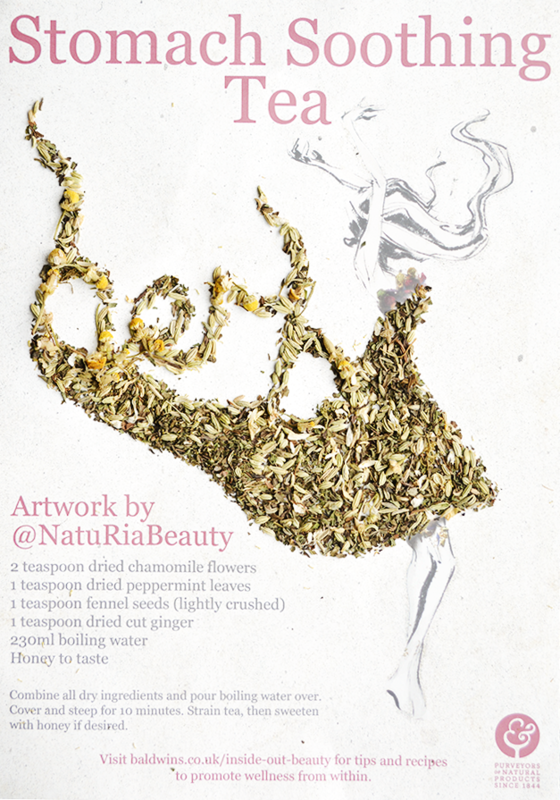 As part of the campaign, Baldwins have challenged some bloggers to create "herb art" using herbs for a specific tea recipe. My bag of herbs* was for a stomach soothing tea - this recipe suggests a blend of dried chamomile flowers, dried peppermint leaves, fennel seeds, dried cut ginger and honey to taste. If you're interested in herbal remedies, aromatherapy, essential oils and DIY natural beauty, head over to Baldwins website for some informative guides and tips on natural skincare and inner health! What beauty news has been on your radar lately? These all look very exciting! I'm very tempted by the Naturisimo box- it seems ridiculously good value. I hadn't heard of CosNatural before, so thank you for mentioning them! It's always exciting to find a new website to shop on. The Naturisimo boxes are always great value :) Glad to have introduced you to CosNatural! I am so glad you can now experience Briogeo and Skin Owl, these are one of my favorite brands! Briogeo Repair hair mask is truly wonderful! Ah thanks Oly! Surprisingly difficult making those tiny herbs behave haha I'm more used to digital art :) I'm currently testing out the Briogeo Rosarco Milk leave-in conditioner, definitely want to try SkinOwl too!